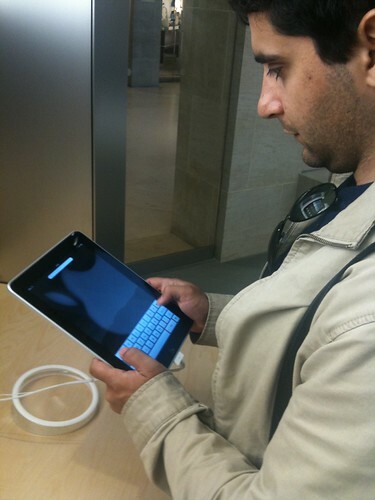 Last Monday i visited the Louvre Apple Store while passing by Paris, so i had the opportunity to test the iPad (while it´s out in some European countries, it´s not here in Portugal). First, i noticed Apple has lots of units available for testing...and i mean LOTS - there were always several with no one using them. On to the testing. 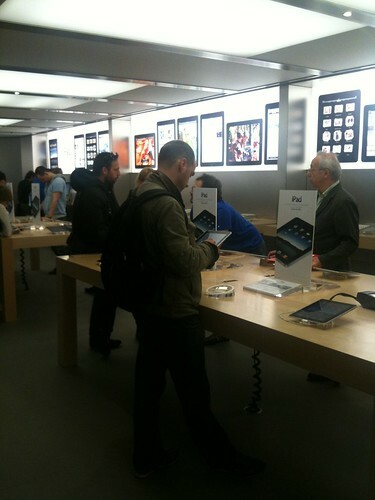 I´ve heard several people saying this, and i had the same impression: the iPad is heavier than what we expect. However, i think i´d quickly get used to it. And it is indeed a beautifull piece of tech. I tested several aplications, including games like Real Racing HD (impressive, but i think the iPad is too heavy for long driving sessions), productivity apps like Appigo Todo (love the interface! ), NY Times (yeah, i see myself using this to read the daily news at breakfast), iBooks (again, great interface), plus Mail, Safari and Calendar, all clearly benefiting from the bigger screen. 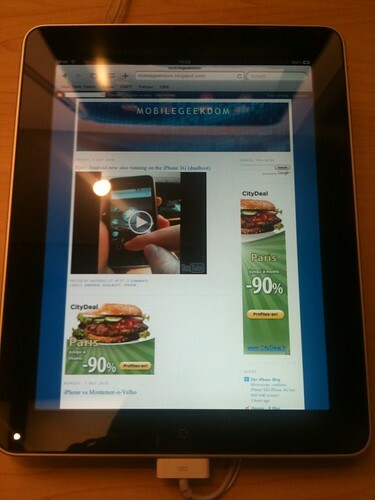 But Photo.app takes the prize has most awesome iPad feat...see the video above. And the youtube app is equaly great. To sum it all, i loved what i saw, loved to have one, but it is still not something i would "die for". The iPhone is still more usefull for me, and i have a netbook for other type of portable stuff. However, it all comes down to price, in the future i may get one.